The authors are joined by more than 40 contributing experts, all of whom recognize that while theory is important, it does not always provide a clearly-understood road map for those in practice. The fourth edition presents significant and over-arching differences to the previous editions, as it now provides a clear description of how to apply and implement the Person-Environment-Occupation-Performance (PEOP) Model in practice. In addition, it looks at the application of the PEOP Model to systems of care that are provided to specific groups and populations. All chapters have been re-organized and renamed to reflect today's occupational therapy practices. 'Annotated History of the Concepts' has been reorganized and now includes references to the chapters where the concepts are covered in the text. 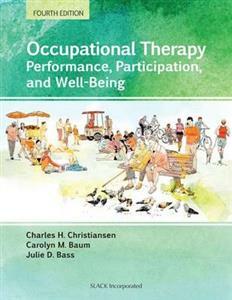 Includes current terminology and viewpoints from occupational therapy, occupational science, and International Classification of Functioning, Disability, and Health . Includes more than 150 tables and figures to support the written text. Faculty will welcome PowerPoint presentations for teaching in the classroom.